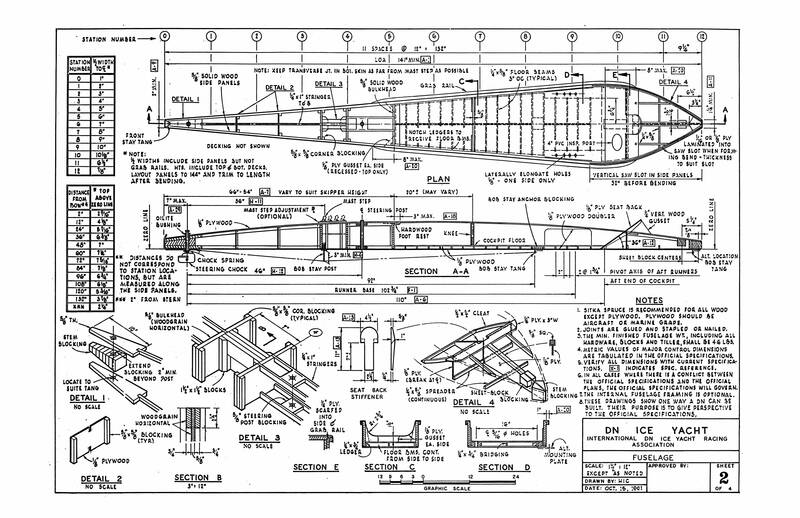 Standard sheet size is 11" x 17", scanned at 300dpi. 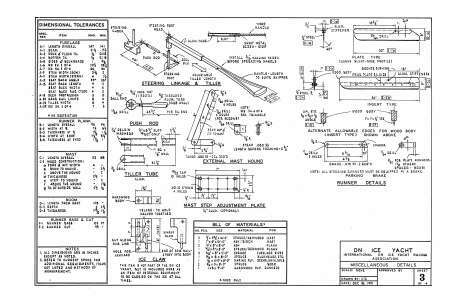 You can print them out at any size you like, however when printed at 8-1/2" x 11" these are quite hard to read, so if you can't print them at 11" x 17" then you split the image in half and print out each half at 8-1/2" x 11" and tape the two pages together. 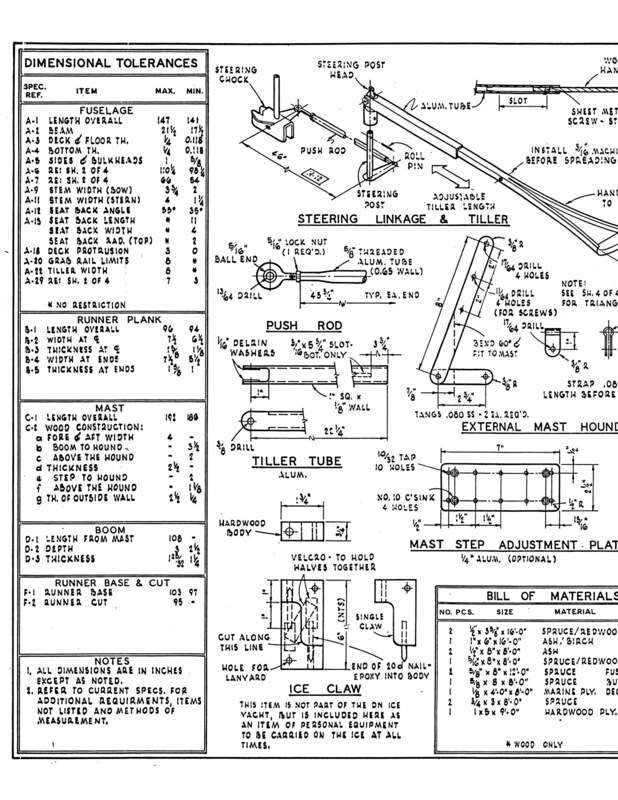 In order to make this easier, the images are also available pre-split below the full pages images. 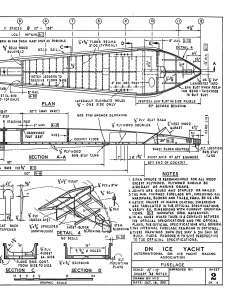 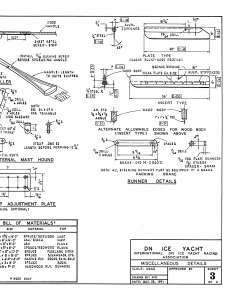 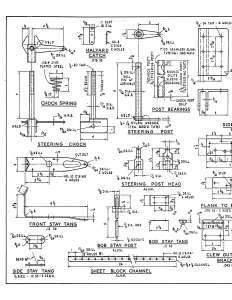 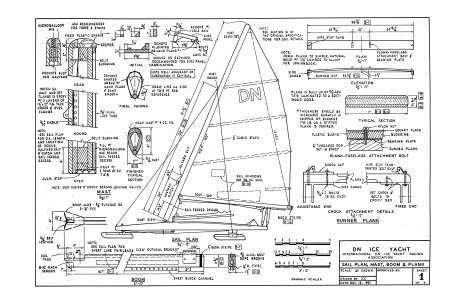 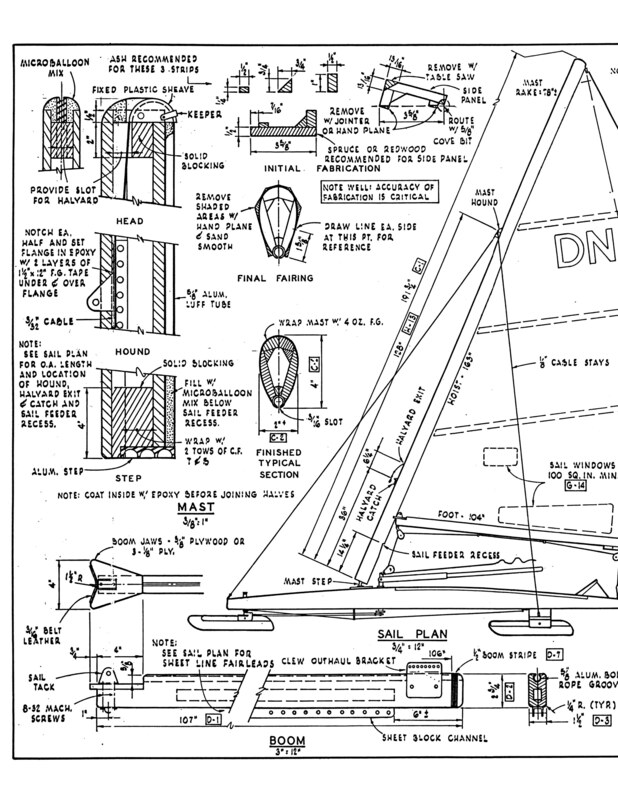 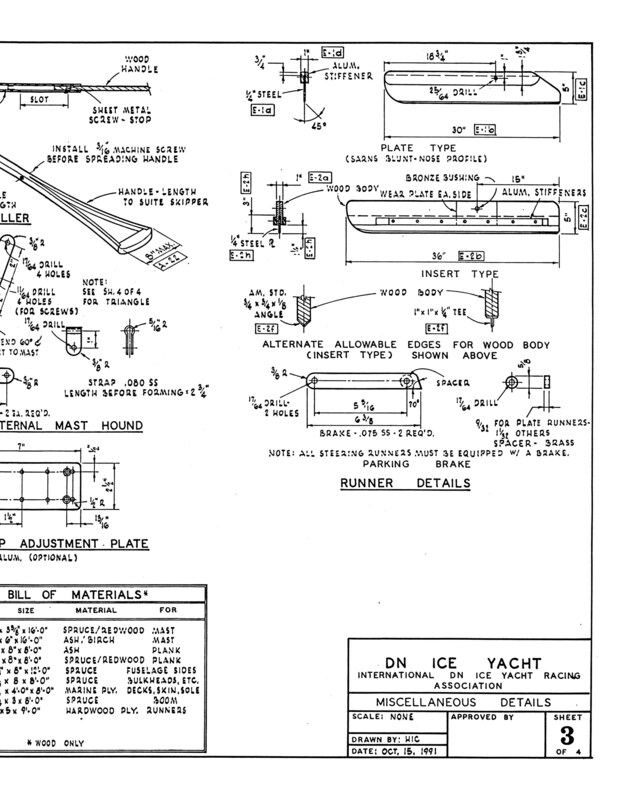 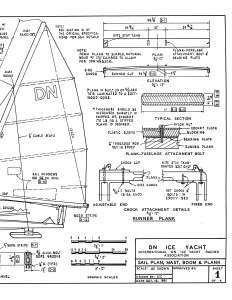 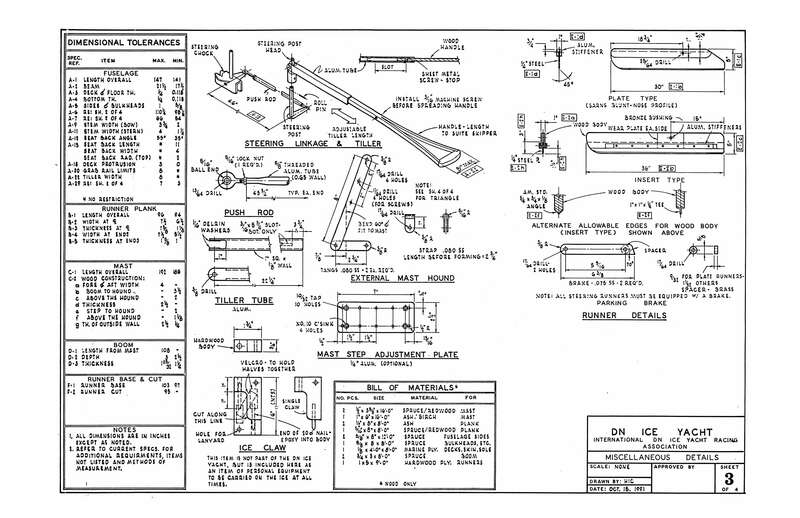 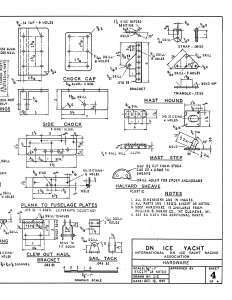 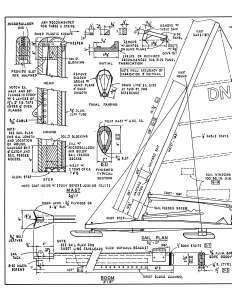 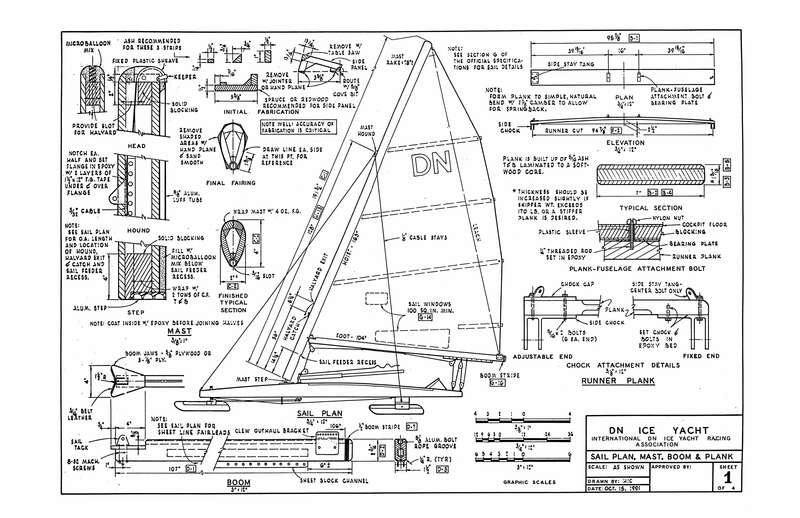 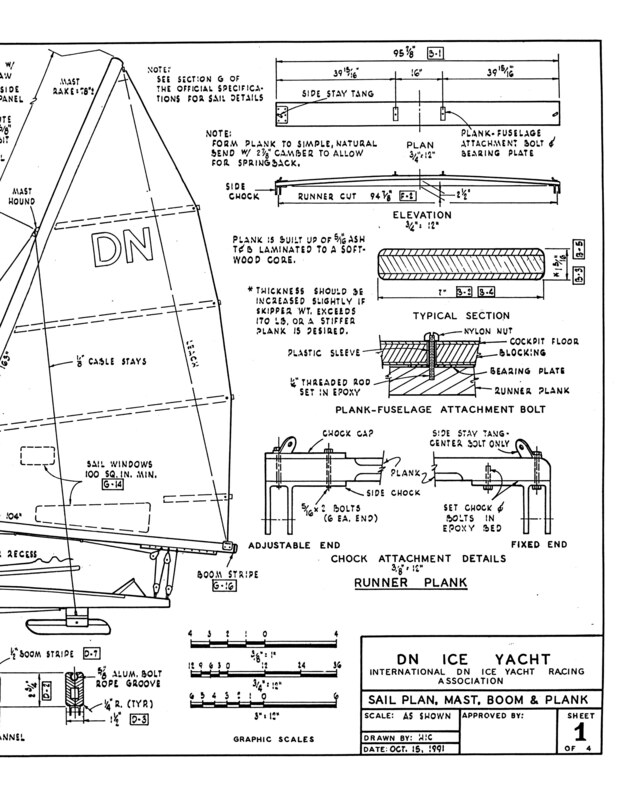 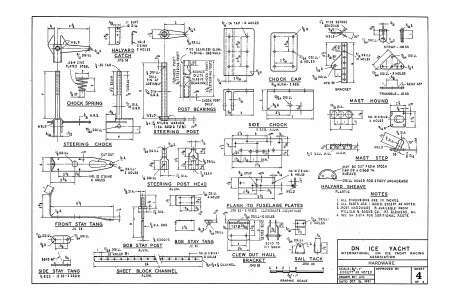 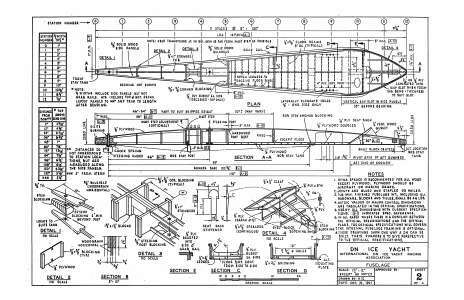 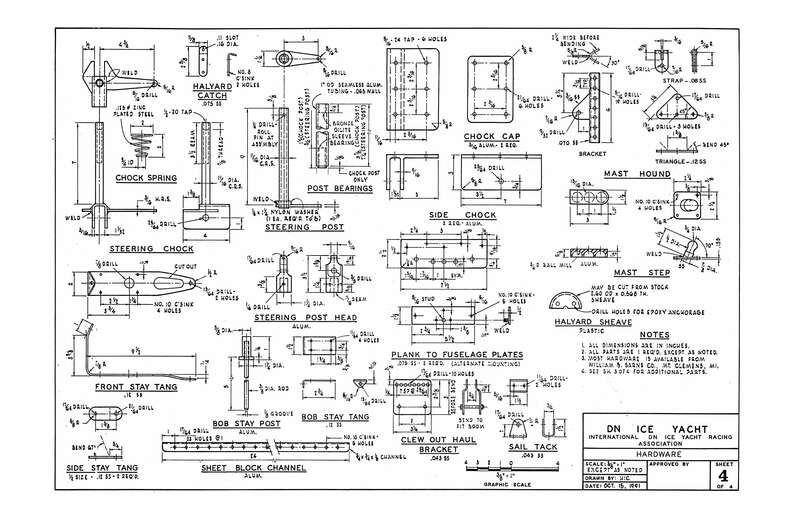 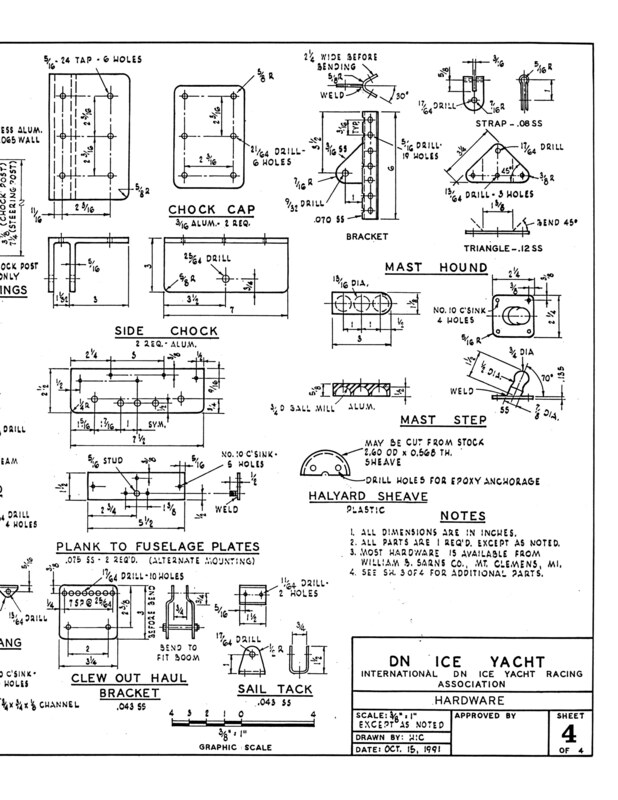 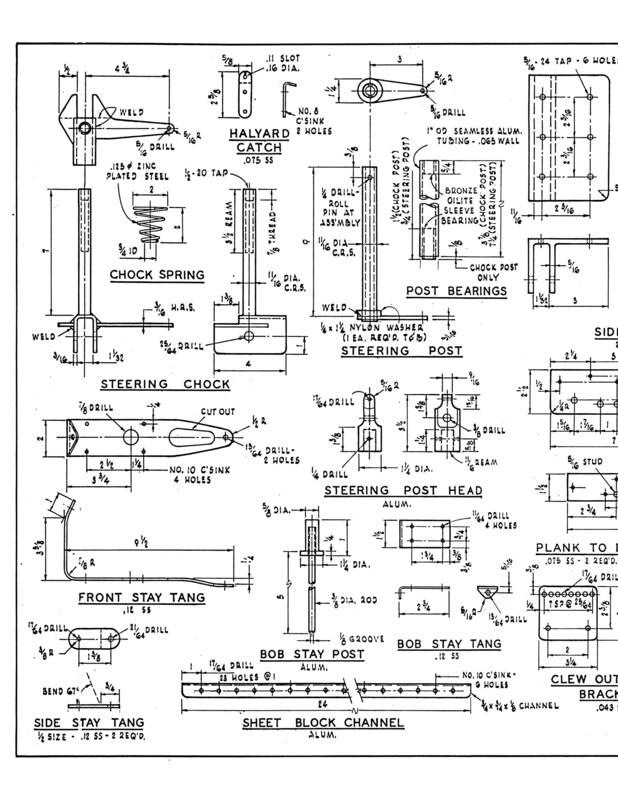 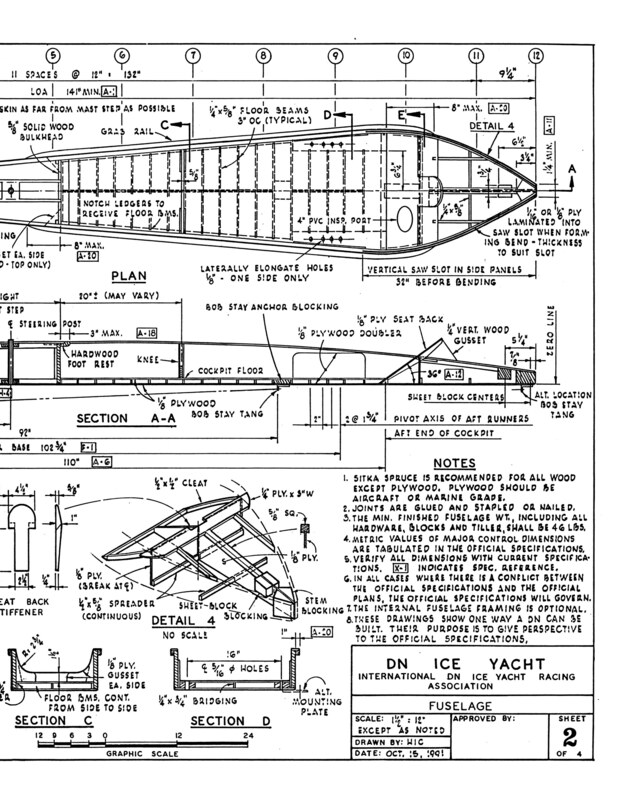 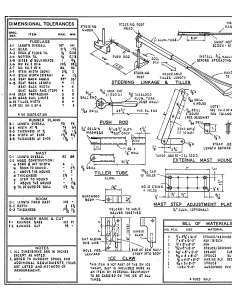 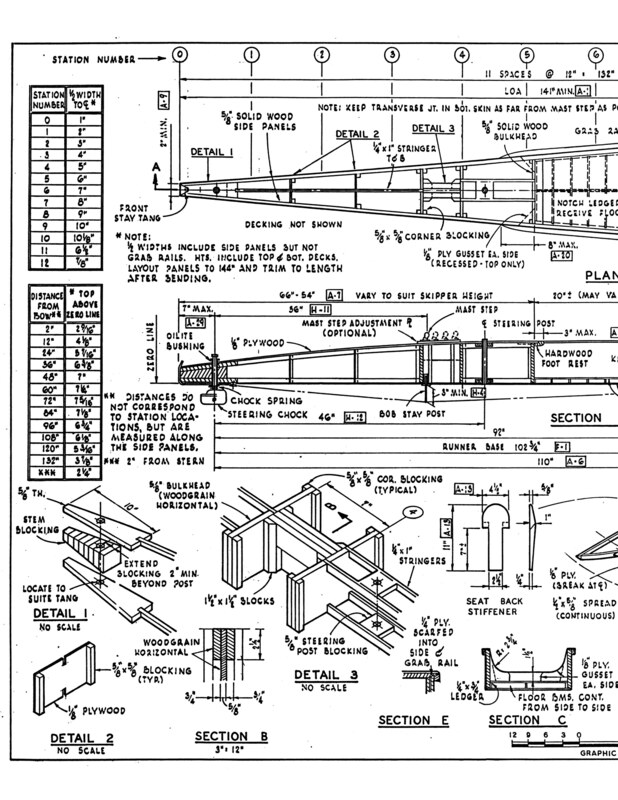 Scale plans for the DN Iceboat - half sheets printed at 8-12" x 11"